Volume 2 reviews advances in understanding and managing the range of diseases and pests that continue to cause significant crop losses. Part 1 discusses fungal, viral and bacterial diseases as well as developments in disease-resistant varieties, integrated pest and weed management. Part 2 summaries research on developing the food and non-food uses of soybean, from improving nutritional properties to uses in animal feed. 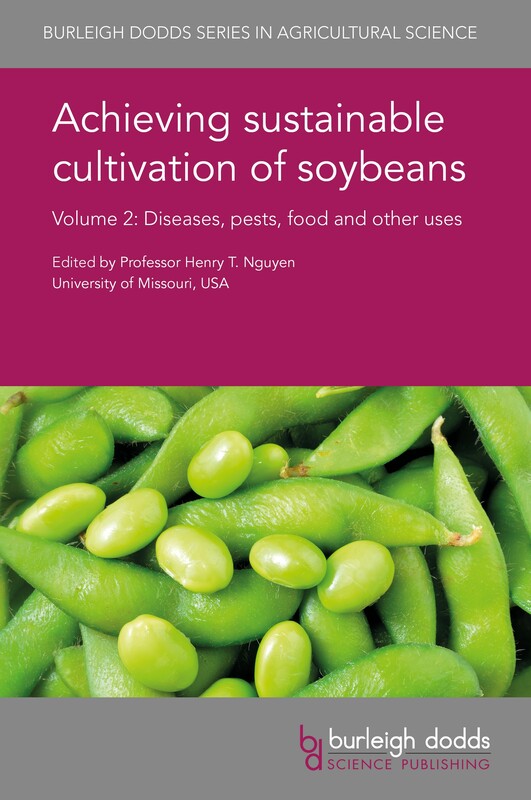 With its distinguished editor and international team of authors, this will be a standard reference for soybean scientists, growers, government and non-government agencies supporting soybean cultivation. It is accompanied by a companion volume that reviews advances in breeding and cultivation techniques.